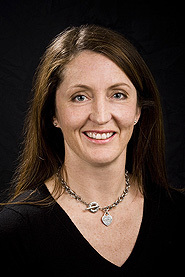 Jacqueline graduated from the University of Otago, New Zealand in 1993 and completed her radiological training in 2000. She was awarded the Gold Medal (HR Sears Prize) in radiodiagnosis in the final year of her studies as recognition for the most outstanding performance in these exams in both Australia and New Zealand. After completing her training requirements she undertook a 1 year fellowship in breast imaging at The Nottingham Breast Unit, City Hospital, Nottingham UK and an MRI fellowship at Perth Radiological Clinic in 2001. She became a Partner at Perth Radiological Clinic in 2003. She also works as a sessional radiologist at Breastscreen WA. RANZCR, Annual Scientific Meeting, Perth, October 2010: Breast MRI – Current Evidence and Indications. Breast Interest Group Meeting; Alice Springs, 2007: Current Status of Breast MRI. BreastScreen WA Scientific Meeting; Perth 2008: The role of MR in Post Operative surveillance of young women.